Wounds that Bind: Exhibition Review - Marc Behrens: '«Phantoms»' The MART Gallery, Dublin till 22nd Oct 2016. 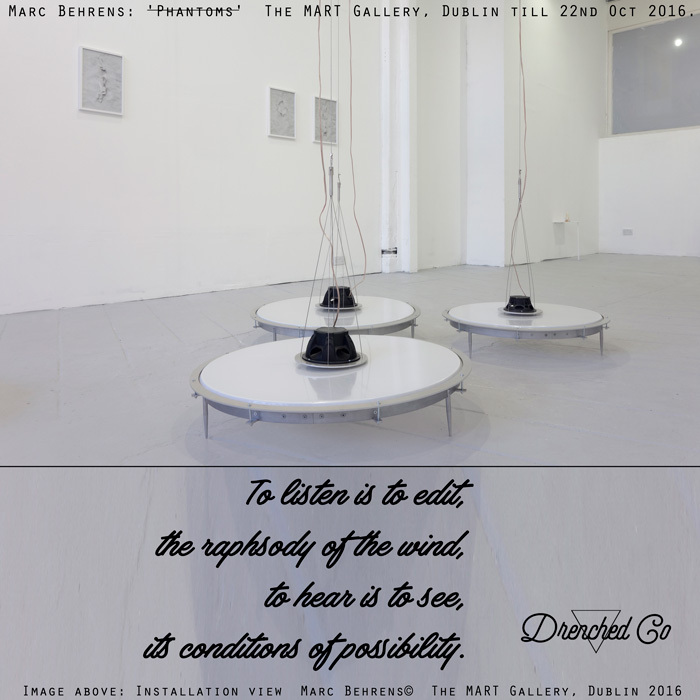 Exhibition Review - Marc Behrens: '«Phantoms»' The MART Gallery, Dublin till 22nd Oct 2016. Image courtesy of the artist and The MART Gallery, Dublin.